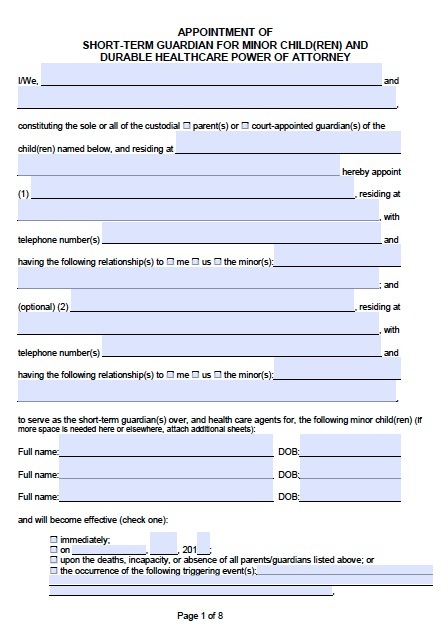 Legal document allows a parent to elect another adult to have legal authority or guardianship over a minor for a period of time. It cannot be for an ongoing period meaning it must have an end date (up to a year) and after must be renewed. The form is recommended to be authorized in the presence of a notary public but can be witnessed by two non-blood or related family.